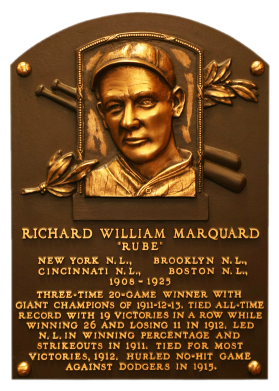 In 1912, Rube Marquard won his first 19 decisions for the Giants on his way to a 26-11 record. Although he won 23 games the following season, he never again matched his earlier play. 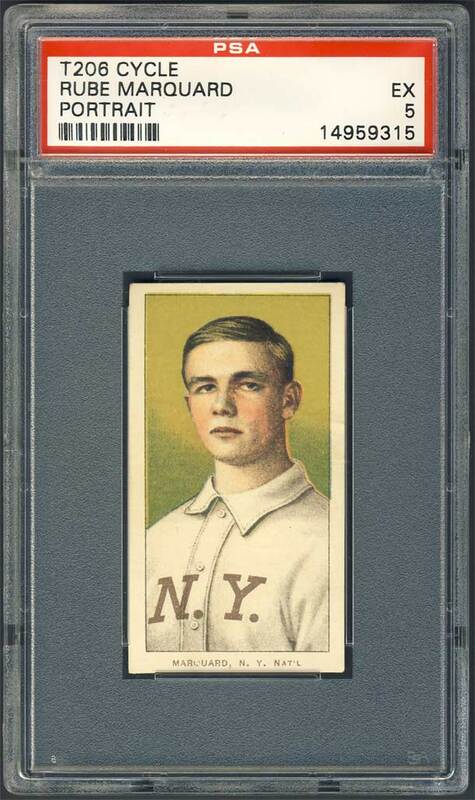 He and Christy Mathewson gave the Giants a one-two punch few teams could match. Marquard had a 201-177 career record with 197 complete games. 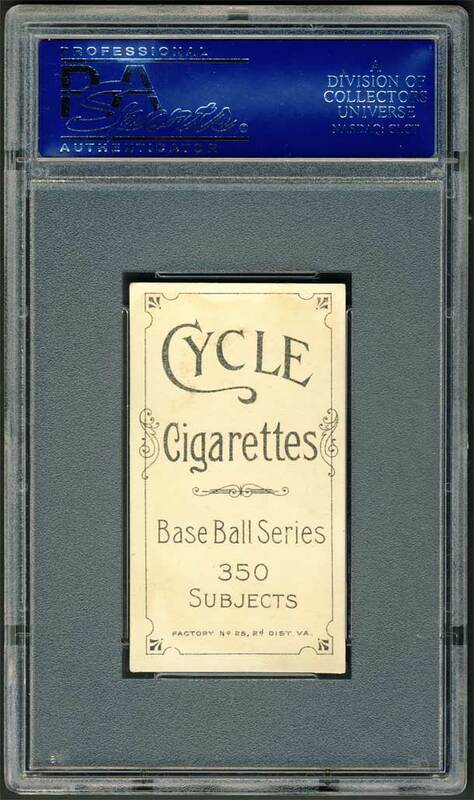 Comments: In May, 2002 I decided to buy a T205 Honest PSA 2 of Marquard. It's a great image, have always liked the card. In April, 2003 I upgraded to a PSA 5 (different back); and a SGC 80 in January, 2005. In May, 2005 I decided to go with a different issue for Marquard since I already had several other players representing the T205 set. I won an eBay auction for a 1923 Willard Chocolate PSA 7. 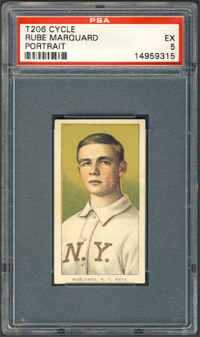 But in April, 2006 I changed my mind again (after deciding to go with Connie Mack for 1923 V100 Willard's). 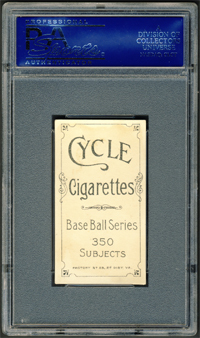 I bought a raw T206 Cycle back Marquard directly from a Larry Fritsch catalog; and subsequently submitted it to PSA for a VG 3 rating. Three years later, in April 2009, I upgraded to this PSA 5 after winning an eBay auction from Brent Huigens.